Pat Conroy, Gena Showalter, JR Ward, Margaret Mitchell, Alice Walker, Pat Conroy, Gena Showalter, JR Ward, Margaret Mitchell, Alice Walker, Star Trek (Gene Roddenberry), Arthur C Clarke, Audrey Niffenegger, and so many more. Every great writer inspires me to be better. Deidre Knight is a literary agent, mom, wife, novelist and southern woman, and proud to answer to all of these titles. Before she founded The Knight Agency in 1996, Deidre worked behind the camera in movies and television. During the thirteen years since she launched her literary agency, she has grown The Knight Agency to national prominence, shepherding authors on to every major bestseller list. 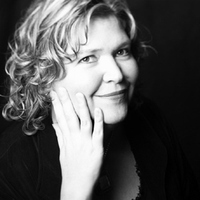 With agency sales of more than 1,000 titles to major publishers, a large percentage of which are in the categories of romance and women’s fiction, Deidre has established a reputation for discovering vivid and unique storytellers and is considered an industry expert on the hot trend of paranormal fiction. Writing in that genre, she creates fresh cha Deidre Knight is a literary agent, mom, wife, novelist and southern woman, and proud to answer to all of these titles. Before she founded The Knight Agency in 1996, Deidre worked behind the camera in movies and television. During the thirteen years since she launched her literary agency, she has grown The Knight Agency to national prominence, shepherding authors on to every major bestseller list. With agency sales of more than 1,000 titles to major publishers, a large percentage of which are in the categories of romance and women’s fiction, Deidre has established a reputation for discovering vivid and unique storytellers and is considered an industry expert on the hot trend of paranormal fiction. Writing in that genre, she creates fresh characters and strong, emotional storylines. As an author Deidre has been described not only as “outstanding” and “emotionally evocative,” but also as having “tremendous verve and a great knack for character and smart scenes.” Deidre’s innovative novels have been nominated for a plethora of accolades including the PEARL, the PRISM, the NOR, the JABIC and the STRCA. The Parallel series is now on Audible!
" Thank you!! :) "
We’d love your help. Let us know what’s wrong with this preview of Raising Cain by Kelli Ireland. “You are so beautiful in that little black dress." "Every girl should own a little black dress"
Which book would you like to read for JUNE 2009 MINI READ?